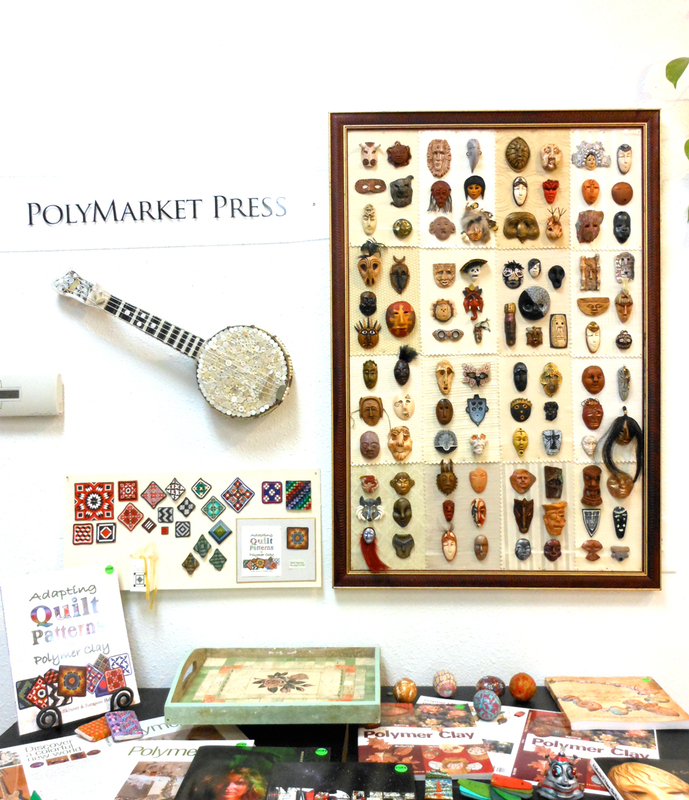 Art from Polymarket Press books is on display at Kay Carol & Priscila Gallery during the month of October. 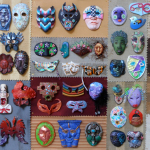 In conjunction with a Gender Identity community art show, we are awaiting work from Ricardo Acevedo’s books Night and Interloper as well as polymer clay jewelry from Randee M. Ketzel and Kim Schlinke’s Polymer Clay Gemstones-The Art of Deception. 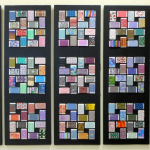 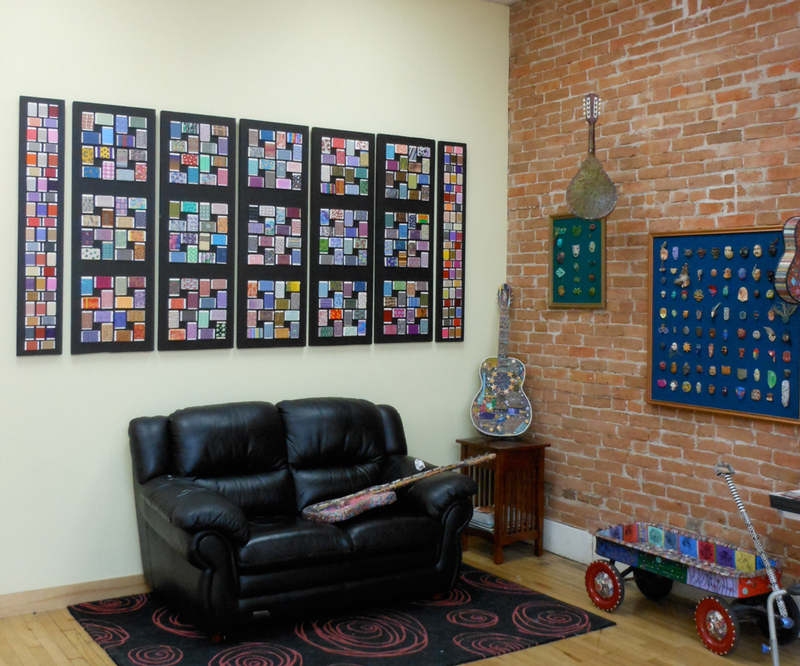 Art from Adapting Quilt Patterns to Polymer Clay is shown including the newly-mounted clay “bolts of fabric” contributed by many artists from around the world. 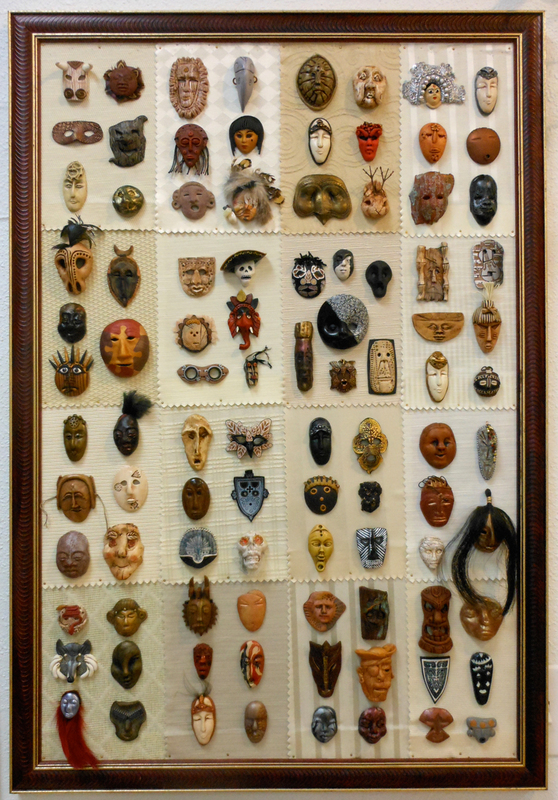 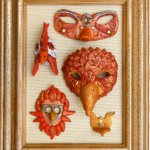 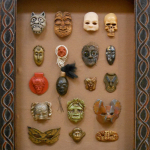 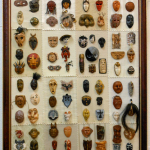 Also taking pride of place among the mosaics and sculptures are the fabulous miniature and full sized masks created by more than 100 artists involved in the annual Miniature Mask Swaps that have been held since 1998. 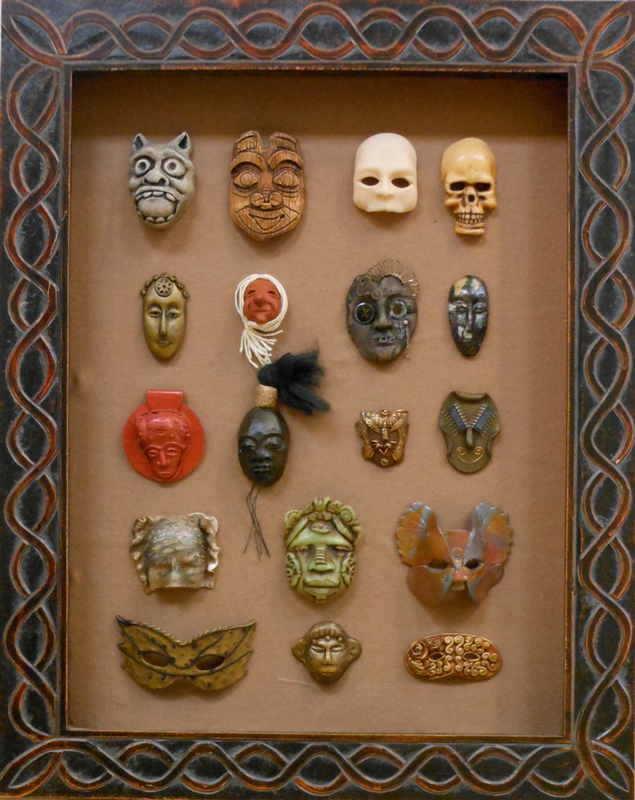 Many were showcased in A Collection of Polymer Clay Masks, but more than 200 have been added since publication! 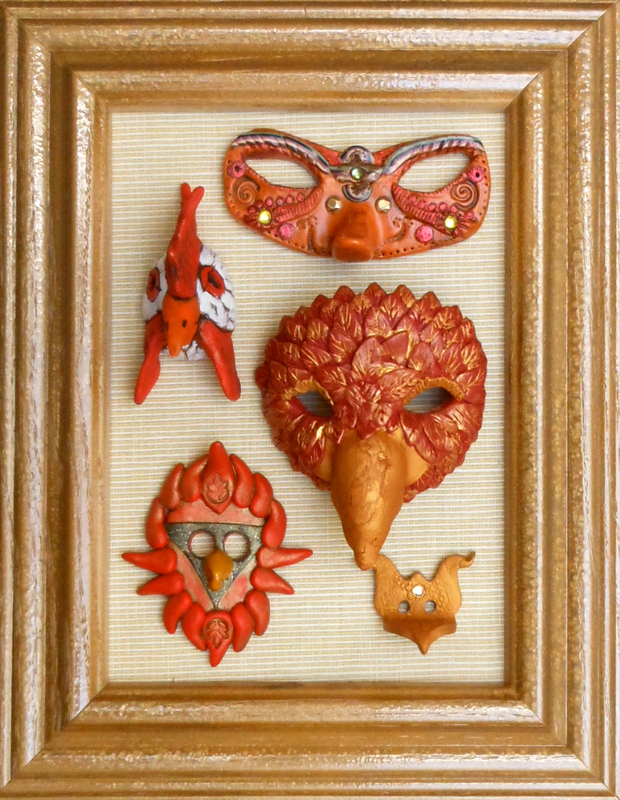 Work featured in my first two books with Krause Publications are also on display, making this a huge assembly of techniques and effects that are possible with polymer clay. 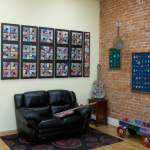 Do come see it in person at KCP Gallery, 364 Main Street, Longmont CO 80501. We’re open Th-Fr-Sat from 10-6pm.